Pleatco Blog | Pleatco launches the 2016 Perfect Pool Guy, Pool Gal Search with Genesis and NSPF® Nominations are now open! Pleatco launches the 2016 Perfect Pool Guy, Pool Gal Search with Genesis and NSPF® Nominations are now open! The highlight of this year’s contest is the inclusion of the National Swimming Pool Foundation as co-sponsor. NSPF will award their new Advanced Service Technician™ (AST) Certification Course to each and every finalist. This significant contribution raises the level of the contest to impressive new heights. The Pleatco Perfect Pool Guy/Gal contest now in its ninth year, is an innovative way to honor the hard-working men and women of the pool service industry. Over the past eight years, over 700 people have entered the contest and nearly 45,000 people have voted for the winners. The contest was coined by an industry reporter as the ‘Oscars of the Pool and Spa Service Industry’. “Over the nine years that Pleatco has run this contest, we’ve learned that being a professional pool or spa service technician is more than a job…it’s a passion. Many homeowners treat their service guy or gal like family; it’s a special relationship; said Pleatco CEO, Howard Smith. A pool or spa is an integral part of a home – a way to relax – and it’s a place for a family to share time together. Homeowners trust their service professional to keep their “backyard-oasis” safe. “We also are fortunate to be the new co-sponsor of this wonderful contest. At NSPF we fully support initiatives that keep pools safer, keep pools open, and assure more people can enjoy the water. We recognize the crucial role every pool service technician plays, we are honored to celebrate them, and we are pleased to offer our new AST online course as a major prize for each and every finalist to nurture continued growth.” says Thomas Lachocki, Ph.D., CEO of NSPF. This year’s Perfect Pool Guy and Perfect Pool Gal will each receive a trip for two to the International Pool, Spa, and Patio Expo hosted by New Orleans in November 2016. Most important, both winners may attend the Genesis Basic Pool Construction Course free of charge ($5,000 value) being held in New Orleans. This year the contest winners (and all finalists) will receive access to NSPF’s AST Certification Course ($1,100 value). 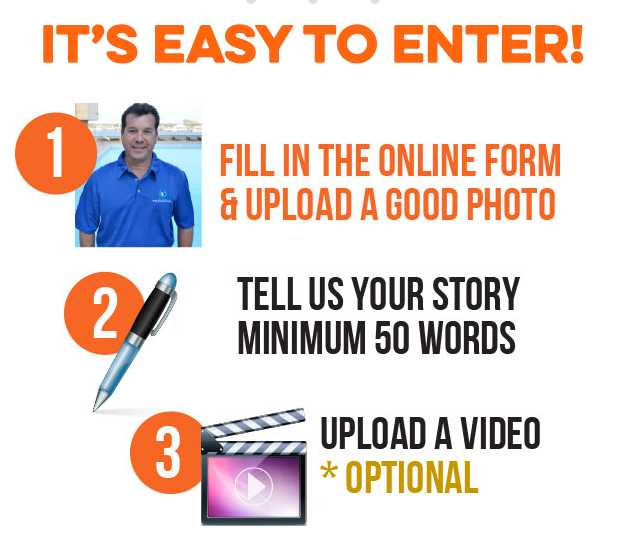 Add in a high profile awards ceremony, gala dinner, nationwide advertising campaign and thousands of dollars of free Pleatco products and you have an amazing incentive to nominate yourself, or colleague PoolGuy/Gal in this year’s contest. “This year’s theme is - Put your PoolGuy/Gal to the test!” says Pleatco’s CMO, Battista Remati. “We are looking forward to an amazing contest and urge everyone, even if they have entered in previous years, to nominate either themselves or a colleague and reward them with the recognition they so duly deserve”.